A Senegalese gold miner appears from the small shaft from where he is extracting gold bearing quartz rocks. His partners help haul the loaded bucket up to the surface. 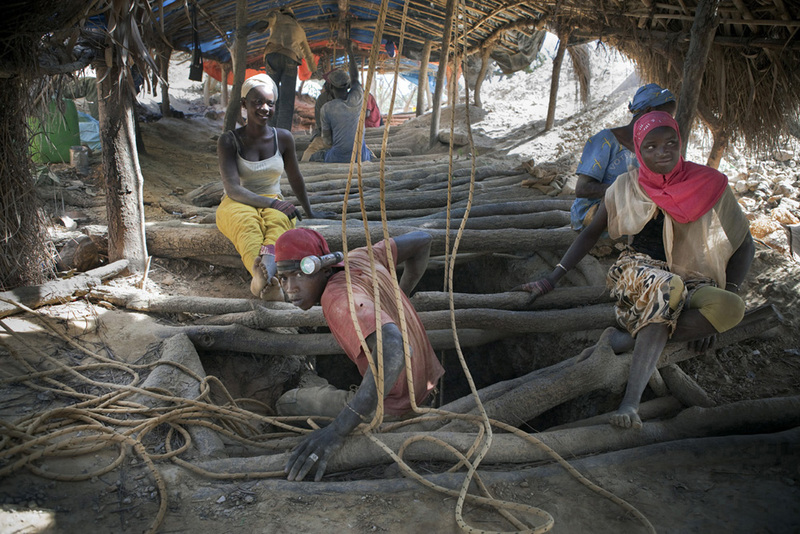 Mines shafts often collapse and many people are killed each year in their pursuit.